Calendar pages allows seem to fly by quickly, and 2018 was no different. While many of the items discussed in last year’s review continued to be topics of advancement, there are several new sources of technology, data collection and potential issues for surveyors going into the new year. Let’s look back at the stories that affected the surveyor and their use of GNSS technology in 2018. The race across America to provide better broadband coverage hit a snag late in 2018 when critics of the Federal Communications Commission (FCC) voiced their displeasure with the accuracy of maps produced to depict the coverage of broadband access. These critics are pressuring the FCC to verify internet coverage and speed of data availability in rural areas as reported by the broadband companies. These broadband companies are only required to report on the advertised availability and data speeds and not the actual coverage/speed of the installed networks. Critics of the FCC have found that information used from the broadband providers overstates the available speeds and number of internet service providers, thus allowing the FCC to produce mapping of broadband that is not correct. Because of this incorrect reporting, it is estimated that almost 40 percent of rural America doesn’t have access to broadband data with no formal plan of rectifying this situation. 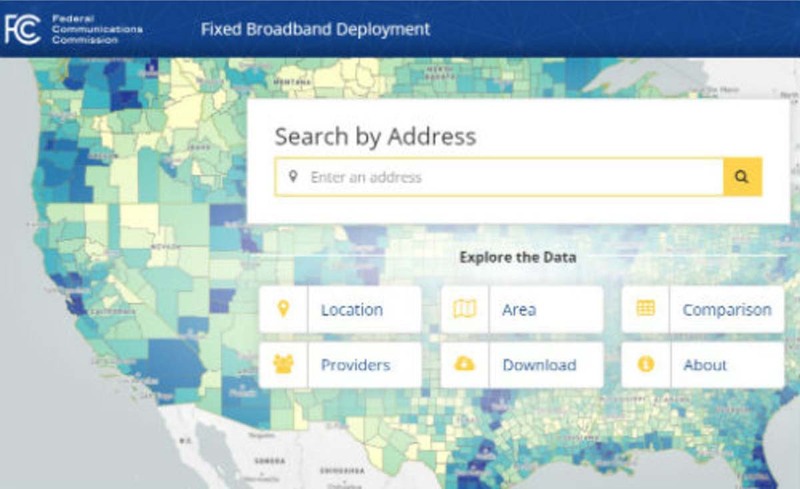 The FCC has stated that they will investigate these coverage maps in order to determine if monies distributed to broadband providers were not used in accordance with the promised delivery of coverage and data speed. Why does this matter to surveyors? As previously discussed in past columns, the reliance on the real-time network capability of GNSS is one of the biggest time and production savers for the surveyor and for those working in rural America is no exception. Not just in small towns but out in the open where large parcels are being surveyed for many different reasons, including pipelines, wind and solar installations and title conveyances. By having broadband available use by surveyors, these tasks can be accomplished with shorter timeframes and less steps to keep critical data in compliance with established coordinate systems. On Oct. 5, 2018, the Geospatial Data Act (GDA) was signed into law as part of the FAA Reauthorization Act (see Geospatial Solutions, “Geospatial Data Act will bring huge changes to America, and the world“). While this bill received lots of attention because of the FAA implications, the portion of the bill concentrating on geospatial oversight will have a lasting effect on the governance and development of the national mapping industry. For many years, the ever-developing amount and sources of geospatial data has been growing within several different agencies of the United States government. 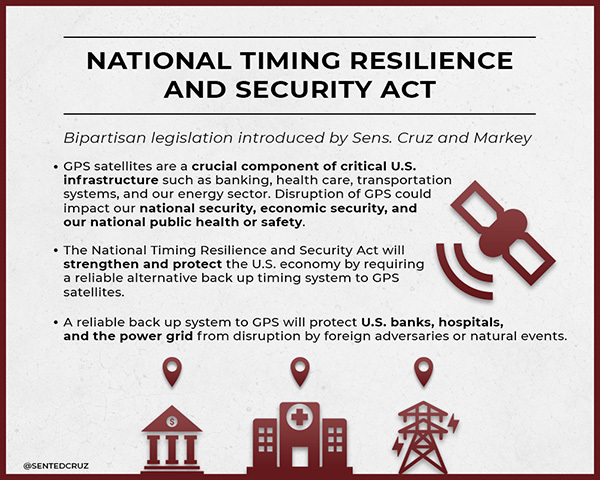 This bill was established to help streamline the efforts and availability of geospatial data by assigning specific agencies to oversee the development and introduction of new technologies. The biggest takeaway from this bill will be the reduction of agencies working on concurrent data sets for public and private use and therefore streamlining the opportunities to introduce newly acquired information into critical programs, (such as FEMA floodplain mapping, GAO asset management, etc.). Part of the reason I wish to highlight this bill was the efforts of the National Society of Professional Surveyors (NSPS) to keep the state professional licensing laws intact, the use of private sector businesses for providing surveying services, and to keep quality-based selection (QBS) as the primary tool for awarding contracts for procurement services. Because of the actions and reasoning by NSPS, the authors of the bill withdrew the language that would allow “low bid” opportunities within these contract awards. This influence by NSPS is a prime example of how a profession can influence legislation through our democratic process. In November 2018, the FCC opened a new chapter in GNSS observation by approving a waiver to allow GNSS receivers to utilize Galileo transmissions for location determination without a specific FCC license. Traditionally, the FCC would require licensing of public, receive-only GNSS equipment used with any foreign-based systems but worked with several US agencies to create a waiver to allow faster implementation to use the Galileo signals. It should also be noted that the Chinese government has been rapidly building the latest stage of their own GNSS constellation, the BeiDou system. The United States and China have been promoting cooperation to allow each side to better understand the current workings of GPS and BeiDou, (GPS-BeiDou Statement). China is currently completing its third phase of the navigation system that potentially will surpass the United States GPS constellation in data availability and accuracy, (See GPS World“Directions 2019: BeiDou accelerates global deployment,” December 2018). Not to be outdone, the U.S. has begun its implementation of their next wave of satellites, the GPS III containing the latest technology, the L1C civil signal, with improved accuracy and anti-jamming programming. On Dec. 23, the SpaceX Falcon 9 rocket delivered the GPS III SV01 into its intended orbit (SpaceX Launch) with more launches scheduled for additional satellite vehicles in 2019. These efforts to increase satellite coverage and accuracy will only improve the use of GNSS receivers by surveyors. While I look forward to software and receiver upgrades to take advantage of the newer birds, we still need a backup plan in case of international conflicts and a reduction/discontinuation of GNSS service. 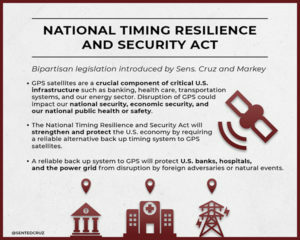 The Frank LoBiondo U.S. Coast Guard Authorization Act of 2018, which also included the National Timing Security and Resilience Act, was signed into law on Dec. 4 and directs the Secretary of Transportation to establish a terrestrial back system for the U.S. satellite navigation system within a two-year period (see “GPS to get terrestrial backup system”). However, this bill did not provide any funding for the creation of this system but now allows the introduction of appropriations in future bills and acts. As I have written in past columns (see “The day GPS went away,” September 2017), it won’t be a matter of if but when something happens to our current GNSS capabilities and we need to develop this backup plan yesterday. My last submission featured the latest in chipset for cellphones and utilizing dual-frequency GNSS signal reception. Xiaomi, based in Beijing, China, introduced the Mi 8 phone with a dual-frequency GNSS chip in the Spring of 2018 to rave reviews. This chip frequency reception (E1/L1+E5/L5) is targeted to embrace the Galileo and GPS constellations for increased accuracies (within a decimeter) well beyond the current norm for smartphones (typically 1-3 meters +/-). Since then, Xiaomi has released the Mi Mix 3 and Huawei has released the Mate 20, Mate 20 Pro and Mate 20 X, all with dual-frequency chipsets. However, all of these phones are not available in the U.S., and the security issues with Huawei has been well documented (CNBC Report, February 2018). One of the biggest stories in the surveying world made national headlines after a start-up “GEO-spatial” consultant created by retired bankers was sued by the Mississippi Board of Licensure for Professional Engineer and Surveyors for having “engaged, and continues to engage in the practice of surveying while not licensed by the Board.” (Madison County, Mississippi, Chancery Court.) While the initial suit remained under the national radar, the countersuit by the consultant and subsequent articles in national websites brought the situation to the front page. The issue at hand is the creation of “plats” combining a legal description for a parcel with a high-resolution photo (captured by various means, including UAV) and depicting said legal description on the photo for use by banks and other financial institutions for risk evaluation. Their argument is that they have “First Amendment rights” to provide public information (the legal description) on a recent aerial photograph in order to provide an exhibit for lenders to review and make loan decisions. Banks are now paying much less in fees to this company for an exhibit instead of a Plat of Survey provided by a licensed surveyor, yet the exhibit provides no assurance (or certification) to its validity and/or any metadata for the represented information. Using this mentality, we could apply it to any licensed profession and allow services normally regulated by laws to be administered by non-professionals, as long as the client “is sophisticated and not complaining.” This means anyone can provide accounting, medical, dental or even law services if the client is satisfied. As previously published here, (see GPS World “Accuracy, precision and boundary retracement in surveying” July 2017), a boundary survey is not simply a mathematical figure from a legal description. It takes a trained person to know how to properly relate a legal description to a physical parcel and professional licensing provides that assurance (and protection) to the public. This situation falls squarely in the GNSS wheelhouse for surveyors, especially as technology advances and accuracies become smaller with progress, (i.e. GPS Block III, BeiDuo, Galileo, etc.) and the ability to measure with higher positional accuracy, (i.e. Xiaomi Mi 8 and other to follow). The surveying profession has joked for years that when these technologies do come forward, many unlicensed “professionals” will come forward with their measuring devices (phones) and locate property lines as part of their service. But for now, it isn’t just the physical location by GNSS measurement we should worry about; it is the high-resolution photo software, GIS data sources and those folks enterprising enough to put all this information together. The surveying profession will need to ramp up its message to public to help better define what the licensed surveyor provides versus the “we can do it much cheaper and faster” stories. More often than not, you get what you pay for. While 2018 didn’t see any revolutionary changes to GNSS data collection, several small advances are noteworthy. Besides the previously mentioned dual-frequency cellphones, we are also seeing more integration with the cellphones themselves as data collectors in conjunction with stand-alone GNSS receivers (see GPS World “University research uses smartphones for precision GNSS,” September 2018). Several of the major survey equipment manufacturers are joining a group of small GNSS start-ups by introducing single- and dual-frequency receivers to work with both Android- and iOS-based phones and tablets for more cost-effective positional solutions. Another trend that is becoming very popular is the use of post-processing kinematic (PPK) solutions with many of the newest models of multi-rotor and fixed wing UAVs. The early (and expensive) trend of aerial vehicles produced by the major surveying equipment manufacturers insisted on installation of a dual-frequency RTK receiver in order to provide a more robust control system for the orthometric photo process. Because there is still a need to combine the still photos from the UAV flight via various “stitching” software, the need (and expense) of RTK within the receiver, while a nice feature, has become overkill for most aerial needs. However, there are times and applications when a fixed-RTK location could be useful, especially during emergency situations when needing to utilize the UAV for live streaming purposes. The last big trend to gain popularity comes from Propeller, a young tech company from Australia that provides both a control point product and data reduction/reporting service. Their revolutionary ground control point (GCP) target, the Aeropoint, is becoming a very popular item for UAV pilots worldwide. These 24-inch (61-CM) square foam targets contain a single-frequency GNSS receiver that collects RINEX data while performing your UAV flight. Spread these targets around your site, setup and perform your survey, then download the target data to the Propeller app on your phone/tablet. The app automatically uploads the data to the company’s site and processes the geographical location for each target into your chosen coordinate system. It truly is that simple and the Propeller folks have made it easy to use. Their online software, Propeller Platform, is also available for photo/data processing and site analysis/visualization/volume computations. They, too, are now teaming with DJI to offer PPK solutions combining Aeropoint data along with Phantom 4 RTK photo data in a convenient, streamlined process. For 2018, our firm (SPACECO Inc) expanded our UAV program in several ways to take advantage of these trends. First, we been using the Emlid Reach RS single-frequency GNSS receiver utilizing a Bluetooth connection to an iOS-based tablet to GCP’s for our UAV program. The receiver’s low cost and ease of use with an RTN network has been a pleasant change from typical surveying equipment. We also use Propeller’s Aeropoints in locations where the RTN coverage is not readily available. For sites that are substantial (typically 300 acres+), we often send our data to the Propeller Platform for photo stitching and data reduction to take advantage of their computing power. Lastly, we wanted to expand our fleet of quad-rotor UAV’s to include a fixed wing model for larger sites. A visit with the Wingtra crew at InterGeo 2017 in Berlin convinced me that a vertical take-off and land (VTOL) model would be a great addition, so we took delivery of our WingtraOne this past summer. The ease of use and amount of project space the Wingtra can cover was already great but we’ve added the PPK module to reduce the amount of GCP’s necessary, especially in inaccessible areas. All these additions to our survey department (carefully vetted and purchased; no freebies from any of the manufacturers!) have provided new ways to expand our services to our clients and allows us the opportunity to enjoy what we do along the way. It is my pleasure to report from personal experience that these trends are solid and will continue to increase our abilities and productivity for days to come. Some of the items I see gaining traction in 2019 will include additional sensors for UAV’s (LiDAR, hyperspectral, infrared), continued improvement in cost effectiveness of laser scanners and LiDAR, increased interest in SLAM (simultaneous localization and mapping) technology and, of course, more geolocation services tied into autonomous vehicles/delivery. Will 2019 be the year Amazon drops my packages by UAV at my front door? As fast as these technologies are developing, I wouldn’t bet against it. The first permanent Earth observation (EO) satellite, initially called Earth Resources Technology Satellite 1 but today better known as Landsat 1, was launched in July 1972 by the National Aeronautics and Space Administration (NASA), USA. With a ground sampling distance (GSD) of 79 metres, the images captured by the Landsat Multispectral Scanner provided an astonishingly comprehensive and panoramic view of areas never before mapped. That is to say, astonishingly for that particular space era. But technology is evolving all the time, and space power is gradually being distributed more fairly among the nations in the world, as Mathias Lemmens explains in this column. After all, technology is not an independent being with a will of its own, but a product. Technology has no marital status, address or phone number. Technology is the result of the ingenuity and toil of a particular subgroup of mankind, often condescendingly referred to as ‘techies’ or ‘nerds’. Why are the bearers of technology belittled in this way? Without them, mankind would suffer and ultimately starve. Launched in August 2014, WorldView-3 – also made in the USA – has a nadir GSD of 31cm in the panchromatic band. This means that the GSD of spaceborne EO sensors has increased by a factor of more than 260 over a time span of 42 years. In other words, the area covered by one pixel in 1972 is covered by nearly 70,000 pixels today, a laudable average year-on-year increase of 30%. This figure indicates a doubling of pixels per unit of area every two and a half years. In 1986, France joined the USA in space by putting the SPOT satellite into orbit, marking Europe’s appearance on the space stage. The first of the Pléiades twins (identical satellites) was put into orbit in December 2011, and the second almost exactly a year later in December 2012. With a GSD of 50cm and a swath width of 20km, these two EO satellites challenged the WorldView family with respect to spatial resolution. But Europe is not intent on keeping its technology to itself. Airbus Defence and Space – successor of the European Aeronautic Defence and Space Company in January 2014 – built an EO satellite for Kazakhstan with a GSD of 1m. Launched on 30 April 2014, the KazEOSat-1 captures 220,000km² daily and can revisit any area in Kazakhstan within three days. On 20 June 2014 the satellite was joined by the KazEOSat-2 with a GSD of 6.5m, aimed at agricultural and resource monitoring, disaster management and land use mapping. Kazakhstan’s neighbouring country and former fellow member of the Soviet Union, Russia, permanently challenges the space power of USA and Europe by operating and gradually extending the Resurs-P family of EO satellites; Resurs-P 1 was launched in 2013, Resurs-P 2 in 2014 and Resurs-P 3, of which one of the solar panels failed to deploy, in 2016. These siblings have a GSD of 1m and a swath width of 38km. With the launches of the Resurs-P family, Russia joined USA and Europe in operating very-high-resolution (VHR) EO space stations, i.e. with a GSD of 1m or better. China is rapidly emerging as another nation which observes the Earth from space. The country is blasting EO satellites into space from the Gobi Desert with such frequency that it could well usurp the USA as the leading space power before long. China launched 22 EO satellites in 2016 alone, and that annual figure increased to 40 in 2018. One of the satellites is equipped with a sensor which takes 20 frames per second with a GSD of 90cm and a swath width of 22.5km, which now qualifies China as a nation operating VHR EO satellites. Today, over 30 nations have hundreds of ‘eyes’ in space. With respect to spatial resolution, Europe and the USA still take the lead. Obviously, these developed nations are not hampered by the law of the handicap of a head start – at least, not for the time being. In the meantime, nearly 50 years have passed since the undisputed dominant nation of the planet drastically changed our view of the Earth: from a hostile, injurious environment which should be tamed, to a tiny, vulnerable celestial body floating in the universe together with millions of others – a body which needs protection against human exploitation and malicious depletion. This feeling is aptly captured in one all-encompassing term: climate change. Meanwhile, space power is gradually being distributed more fairly among the nations of the world. The Turkish city of Istanbul is developing a 3D city model mainly aimed at urban planning. The data sources used so far include airborne Lidar, aerial images and 2D maps containing footprints of buildings. Everybody engaged in creating 3D models of large cities faces many issues, challenges and limitations, including excessive data storage requirements, the need for manual editing, incompleteness and other data quality problems. In this article, the authors share their experiences on creating models of the city of Istanbul at the level of detail (LOD) 2 and 3. The core data for creating the 3D city model of Istanbul was collected by a helicopter flying at a height of 500m and a speed of 80 knots (150km/h) during surveys carried out in 2012 and 2014. The helicopter was equipped with a Q680i Lidar system from RIEGL (Austria), a DigiCam 60MP camera, an AeroControl GNSS/IMU navigation system and an IGI CCNS-5 flight management system. The Lidar point cloud was captured with an average point density of 16 points/m2. The images were recorded with a ground sampling distance (GSD) of 5cm and with 60% along-track and 30% across-track overlap. To ensure high geometric accuracy, eight GNSS base stations were used. The recording of the whole city covering 5,400km2 required thorough flight planning as the flying height and overlap determine a major part of the data quality. Added to this, data accuracy is directly affected by how good the boresights of IMU, GNSS and camera are calibrated and remain stable during the surveys. The Lidar point clouds were geometrically corrected using RIEGL RiPROCESS and RiANALYZE. The Lidar point cloud was stored in 17,000 LAS files, each covering an area of 500m by 700m. Next these LAS files were used for generating a digital surface model (DSM), a digital elevation model (DEM) and a DSM in which the heights of buildings and other objects refer to the ground surface instead of a local or national reference system. Such a DSM is called a normalized DSM (nDSM). The GSD of the three digital terrain models was 25cm. Combining the DSM with the simultaneously recorded images enabled the creation of orthoimages. The LAS files were also used for classifying the points on the ground, on buildings and in low, medium and high vegetation using MicroStation V8i Connect, TerraSolid and TerraScan software. Figure 1: Top view on the classification of buildings (red) and vegetation (green) in part of the city of Istanbul (left) and profile showing the misclassification due to cluttering of buildings and vegetation. The automatic classification of points was done with 90% accuracy. Automatic classification faces severe limitations when adjacent objects clutter. For example, the wrong class was often assigned to buildings close to high trees (Figure 1). Extensive visual checks and manual editing was required to improve the quality of the classification result. Next, the classified points were combined with building footprints extracted from the 1:1,000 base map and with the orthoimages using TerraModeller software to automatically generate around 1.5 million building cubes. Cubes are a 3D representation of level of detail (LOD) 2 (see side bar). Next, the building blocks were augmented by automatically adding roofs using TerraModeller. Mosques, churches, bridges and other complex structures had to be manually mapped using ZMAP software, however. The base map was created from aerial images. Since roof outlines are mapped rather than the actual building footprints, it is not always possible to separate roofs from high trees automatically, thus again requiring extensive manual editing. The files generated from processing Lidar point clouds, aerial images and 2D base maps were converted to CityGML using an FME Workbench. Next, topologically and semantically correct LOD 2 3D models of buildings were created – in total 1.5 million – with the help of CityGRID software (Figure 2). Various classifications and automatic and manual corrections were made until the 3D model contained the desired details. Based on architectural 3D CAD files (Figure 3), 3,800 landmarks such as mosques were modelled with greater geometric details of facades and roofs (LOD 3) than other buildings. Since no georeferenced photos taken at street level were available, no photo texture was draped over any of the buildings, including the landmarks (Figure 4). The non-textured LOD 3 models were based on the CityGRID XML format to facilitate the topologically correct outlining of roofs, facades, footprints and details such as balconies, dormers and chimneys. In a next step, the created files must be converted to a full CityGML structure. Figure 2: LOD 2 and LOD 3 buildings in downtown Istanbul. Figure 3: Mosques and other complex buildings were generated using architectural 3D CAD files. The creation of the 3D city model of Istanbul is still work in progress. Presently, the main data sources consist of an airborne Lidar point cloud, simultaneously recorded aerial images and the building footprints from the 2D base map of Istanbul. Ground-based data collection has been scheduled to increase the level of detail, with respect to both the geometry and the image texture.>> The preferred technology is laser scanning and 360⁰ panoramic imaging simultaneously captured from a moving car. Many streets in downtown Istanbul are small and narrow and thus inaccessible for cars. It is planned to capture these parts of the city with backpack mobile mapping systems. For the whole of Istanbul, the ground-based data will cover 32,000 kilometres of roads and streets resulting in 2.73 petabytes of panoramic image data. The 3D city model is not yet connected to a database containing semantic building information, but this is part of the future development work. Figure 4: LOD 2 and LOD 3 geometric models without photo texture. Biljecki, F. (2017). Level of Details in 3D City Models. PhD thesis, TU Delft, The Netherlands, 353 p.
Buyuksalih, G. (2015). Largest 3D city model ever – case study: Istanbul, Turkey. User presentation at RIEGL Lidar 2015, Hongkong-Guangzhou, China. Kolbe, T. (2015). CityGML goes to Broadway. Photogrammetric Week 2015, Stuttgart, Germany. All the efforts and help on data collection and processing received from the BIMTAS colleagues – Mr Serdar Bayburt and Dr Ismail Buyuksalih especially – is greatly acknowledged. Thanks also go to Mr Hanis Rashidan for the design of Figure 4. Figure 5: Proposed system architecture of the 3D spatial database and sub-systems. Providing water for drinking, irrigation and power, glaciers in the world’s highest mountains are a lifeline for more than a billion people. As climate change takes a grip and glaciers lose mass, one might think that, lubricated by more meltwater, they flow more quickly. However, satellite images from over the last 30 years show that it isn’t as simple as that. A paper published recently in 'Nature Geoscience' describes how a multitude of satellite images reveal that there has actually been a slowdown in the rate at which glaciers slide down the high mountains of Asia. High-mountain Asia stretches from the Tien Shan and Hindu Kush in the northwest, to the eastern Himalayas in the southeast. The area is also part of what is known as ‘the third pole’ because these high-altitude ice fields contain the largest reserve of freshwater outside the polar regions. The source of the 10 major river systems, the third pole provides freshwater for over 1.3 billion people in Asia – nearly 20% of the world’s population. For more than a decade, satellite data have documented that Asia’s high-mountain glaciers are thinning and losing mass owing to melting. “However, it has not been entirely clear what this loss of ice means for their rate of flow,” said Lead author Amaury Dehecq from NASA’s Jet Propulsion Laboratory (JPL) and from the University of Edinburgh. Scientists need to understand what regulates glacial flow speed to predict how meltwater will affect the region’s supply of freshwater in the future, and how meltwater adds to sea-level rise. The study, which was started under ESA’s Dragon programme, uses images from the US Landsat satellites, which are ESA Third Party Missions. Dragon is a joint undertaking between ESA and the National Remote Sensing Centre of China that promotes the use of ESA, Third Party Mission, Copernicus Sentinel and Chinese satellite data for science and applications. Third Party Missions are not ESA satellite missions, but under an agreement, the data from these missions is also processed and archived by ESA's multi-mission ground systems. The US Geological Survey and NASA Landsat missions fall under this agreement. They found that ice-thickness outweighs any other factor in regulating flow – the thinner the glacier the slower it flows. This challenges the more intuitive theory of glaciers flow quickens because of the lubricating effect of meltwater at their base. One of the reasons for this slowdown is gravity. Gravitational pull is related to mass, so as a glacier loses mass, the pull weakens causing it to flow slower. Likewise, in the few locations where glaciers have been stable or where they are thickening rather than thinning, flow speeds have been increasing slightly. Noel Gourmelen from the University of Edinburgh said: “What's surprising about this study is that the relationship between thinning and flow speed is so consistent. These findings should help us better understand how glaciers behaved in the past and better project their contribution to water availability and sea level as they respond to climate change." “Being able to monitor these remote regions from space over long periods of time is extremely important to understand what is happening. We also now have Europe’s Copernicus Sentinel missions, which also play a crucial role in this kind of monitoring.” With such a large portion of the world’s population dependent on water from these cold heights, changes in the size and flow of these glaciers can bring serious consequences for society. It is clearly important to continue monitoring this fragile region as recently highlighted by the World Meteorological Organization (WMO) in the National Science Review: Scaling the peaks for social benefits. In recognition of the need to address ease of access to reliable, policy-relevant information on water resources, by integrating emerging knowledge on the accelerated changes in high-mountain cryosphere, the WMO High Mountain Summit will take place in October 2019.